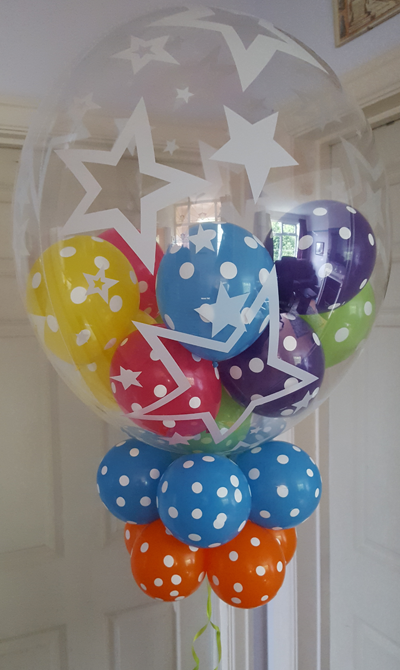 These bubbles are our most popular product. 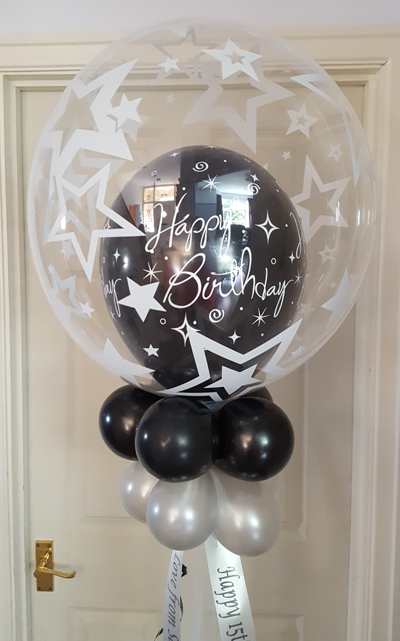 A clear outside balloon, with a latex balloon inside allows for designs that suit every occasion. 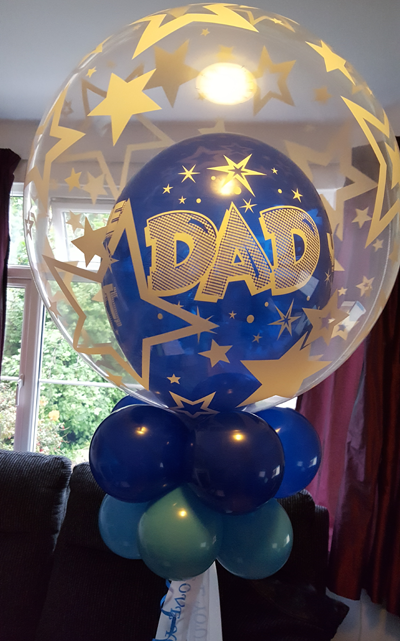 With the ability to include a personalised message they make the perfect gift or decoration. 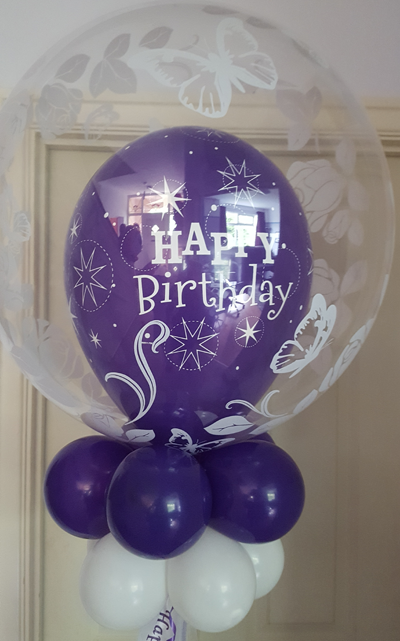 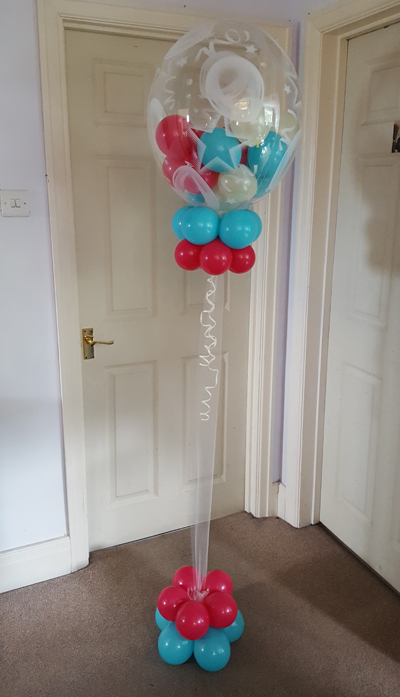 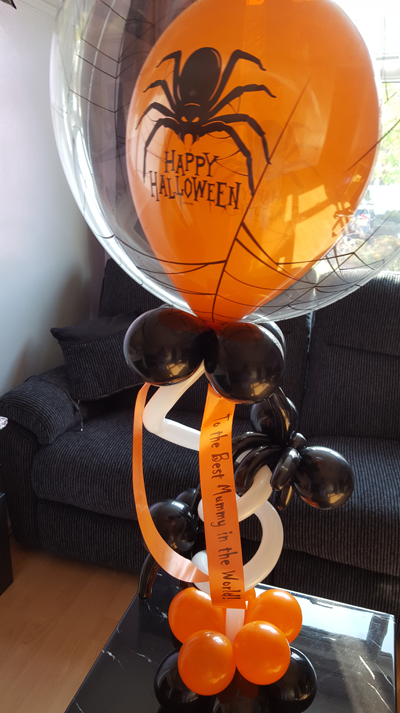 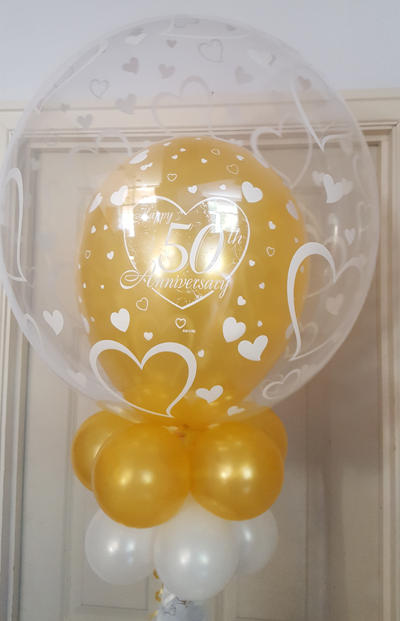 A clear outside balloon, with a latex balloon inside allows for designs and colours that suit every occasion. 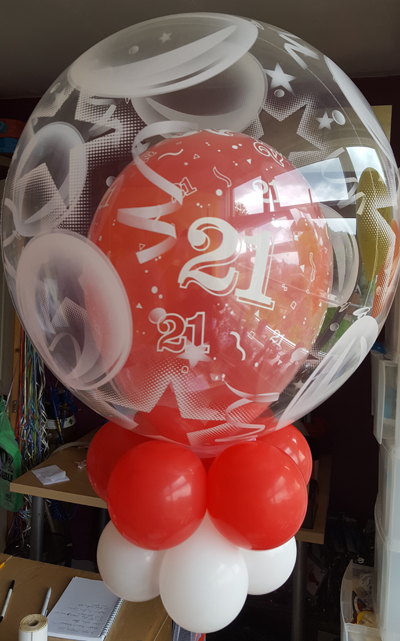 Inside 11" latex balloon is available in a large range of colours and designs. 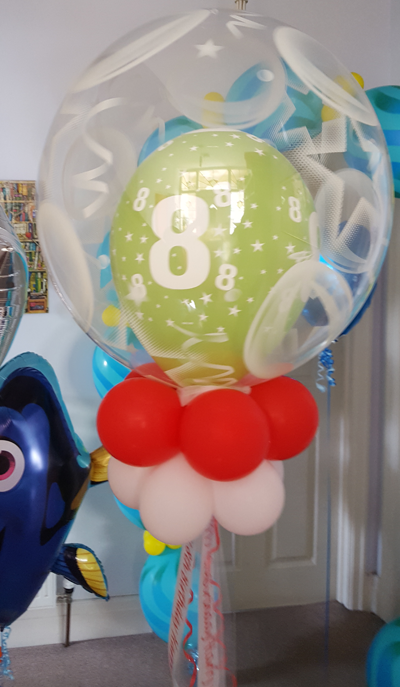 These decorative bubbles are finished with a double collar of small colour coordinated balloons and float on tulle (a light weight net ribbon) attached to a weight. 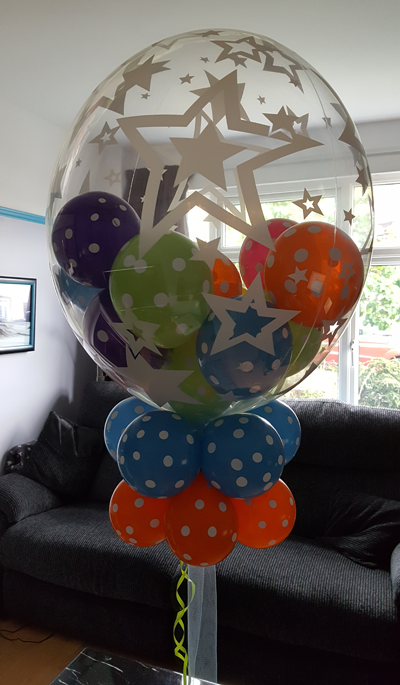 These bubbles will stay inflated for 2-4 weeks.